Welcome to Sacred Journeys! For the past 25 years, I have given channeled readings, provided weekly Mary Magdalene classes, and written beautifully channeled books. I know my work has helped many people, and I wish to explore even more opportunities for accelerating personal and spiritual growth. So in June of 2018, I began a series of Sacred Journeys to Sacred Sites around the world, starting in Ireland. I was traveling with two friends, and we felt the energy at several of the Sacred Sites and began filming our experiences, which we uploaded to my Videos page. In Ireland, I channeled powerful messages on the significance of several Sacred Sites there, including the Hill of Tara and Glendalough, and the importance of awakening to our true spiritual essence at this time. I continued the adventure in September and October, with a 30-day journey through four countries: Egypt, Jordan, Kuwait, and Cyprus. This time, the journey involved energy activations, purification rituals, ceremonies to anchor light and love, past life readings to discover old connections and new purposes, and an initiation process culminating in a 30-minute ceremony inside the King's Chamber of the Great Pyramid of Giza. My work in Egypt and Jordan involved channeled messages from the Essenes, the Holy Family, the Pleiadians, Isis, and others, on the true purpose of the Great Pyramid of Giza, the role of the Essenes in the time of Jesus and now, as well as other messages of individual and universal significance. The outpouring of enthusiasm for our videos has inspired me to continue the journey and share it with as wide an audience as possible. The Earth is at a tipping point, and humanity is greatly in need of awakening individually and en masse. We all need guidance in understanding our true purpose for incarnating at this time, and my role is to help navigate in the ascension process so that we can move into our true spirit essence, and help Mother Earth ascend into the fifth dimension. New light codes, and a limitless supply of new frequencies are now emerging upon the planet through the Great Pyramid of Giza. It is a purification of the collective consciousness and the dark energies that have permeated this planet. The Galactic Council of Light and the Golden Federation of Light are bringing forth this energy. This is of great significance, for the Earth is in need of immediate assistance. Mother Earth is going through a major transformation. The pollutants and the collective energies on the planet are affecting her in a dire fashion. The Great Pyramid of Giza is a transmitter from the Galactic Federation, bringing in frequencies from the Higher Realms onto the Earth. 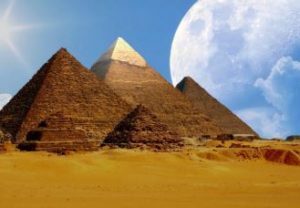 The Pyramids have always acted as the generating power and force that brought forth the higher spiritual frequencies onto the Earth, and since they were created, they have been used for that purpose. The primary purpose of these new light codes is to heal the planet. All sentient life forms, including all of the kingdoms, the animal, the plant, the mineral kingdoms, as well as all of the Earthly beings, both those that exist on the surface of the planet and in the Inner Earth, are receiving the energy of healing and balance that is so needed at this time. Powerful changes will continue to occur, and these energies will bring forth a powerful purification. You will continue to see an intensity of energy that will bring this planet back into balance, and do not be alarmed by changes that will be happening in your life. Very quickly, you will be accelerated into a lighter and lighter form, and within your physicality, and within your own auric and etheric fields, you will begin to see a lighter and lighter frequency that is being held within your essence and your presence. When Lea entered into the King’s Chamber, she began her work most potently and powerfully, and the energy of the new frequencies was immediately emitted through the King’s Chamber into the physical bodies of those present and then through the Pyramids into the Earth, into the ley lines, and into the grid lines of the Earth. This was like an electromagnetic charge. Some felt this energy or electricity in their body and became energized. Others felt a sense of grounding, a sense of peace, and a sense of completion, as if there was great satisfaction in bringing these frequencies to the Earth. Each person responds to the light in their own way. All Earth beings, all sentient forms of life, are receiving this energy regardless of whether they sense it, feel it, or know it on a conscious or subconscious level. The planet is undergoing a transformational clearing process, and the energies on the Earth are intensifying. In due time, this will subside, but for now, these energies are very potent. The energies that were brought forth through the Pyramids are now running through the ley lines and the grid lines of the Earth. These energies are also merging with and clearing the energies in the waters, cleaning the pollution that is held within the elements of the Earth, the water, and the air. The darkness and chaos that have been created on the planet will now begin to dissipate, and the frequency will become lighter and lighter, as if people are responding to what we call Heaven on Earth. People are responding to these frequencies of harmonic peace and joy within their being and within their essence. It is important to honor the energies you are feeling inside of your being. If you are feeling a sense of weariness or heaviness, please allow yourself to transmute this into lightness. If you are feeling overly energized, please allow yourself to ground into these energies to begin to return to sacred balance. Each soul will receive their new light bodies as they are now merging into the frequency of these new codes of light. The body, mind, and spirit are now evolving at a very rapid rate. Allow these frequencies to heal your own soul, as you allow the light to merge through any and all spaces and energies within you that hold darkness, as if there is an entrapment of energies that have been encoded within you, or trapped within you from previous lifetimes, or from this lifetime. Heal those parts of you that are in need of the light. Perhaps you have emotions that are trapped, past life memories, or griefs. Perhaps your own emotions are coming up to be healed. Regardless of what is surfacing for you and within you, it is very important that you allow the light to transmute and heal these aspects of yourself, as you clear your body, mind, and spirit of all that no longer serves you. Be aware of what you wish to accomplish and manifest within your life, as well as what you wish to clear from your life. Prepare to move forward within intention, clarity, and purpose, and much will shift and change for all of you individually and for the world collectively. Allow the light to enter into your body, feeling the presence and the essence of peace entering into your system. As you allow yourself to be transformed, may your heart open to the remembrance of the truth of who you are. You are a Divine Child of Light, and you are at peace. Feel the unity upon your soul, feel the light of God surrounding you as you feel this essence now embodied within your soul. As you move forward in your life’s journey, may you remain at peace, and may you hold this presence of love within your essence, and may you feel the strength of the power that you hold and carry as a Christed being of light. As a divine child of the light, may you hold this within your essence, of the truth of who you are. Accept this within the essence of your being, that you have received the gift of transformation. You have received the gift of transformation, and from this day forward, you are now the New Earth beings, the New Earth species that are holding the codes of light for the New Earth. Continue to allow yourself to receive so that the body may respond accordingly, and you may merge into your light body and your luminescence, and your physical body will become stronger, more vibrant, and you shall begin to transcend and return back to your youthful energy and your vibrance, in your own light body frequency. You will transcend time as you hold the space of love for yourself and for this planet. You are now operating as a physical/spiritual being, as you remember the essence of all that you hold and carry. Now, be at peace. Greetings my beloveds, yes, it is I, Yeshua. My beloved Mary Magdalene is here as well. We say to you at this time how important it is to begin to honor the frequency that you are holding within your own vibratory, physical embodiment. When you first entered into this Earthplane as spirits, eons and eons ago, your frequencies were at the purest level that you ever were able to hold and carry. However, during the period of time when you began to remain here on this Earthplane, then what we call your vibration, which matches the energy of the Earthly realm, began to disintegrate, or began to lower in your frequency level. What I am trying to say is that when you entered, you were of the purest vibration, the highest of frequency, with the purest of intent to come into this planet, Mother Gaia, and begin to bring your light and your frequency onto this Earthplane. And then, throughout time, the lower vibrational frequencies that were occurring on this Earthplane began to create the density in your energy field, and you became what we call in essence a carbon-based mortal. You began to incarnate and be created in human bodies, therefore, this is what you may say is the difference between frequency and vibration, for frequency is the energy that you hold as the beautiful spirit that you are, your vibration matches the energy in which that which was created within you and around you, not only through your thoughtforms, but through the carbon-based density of your human body, and the energy that is on this Earthplane that is held in the collective consciousness of this planet’s atmosphere. And so, at this time, it is of grave importance for you to call in this vibration of the highest of frequencies. Yes, as you receive the initiations and activations in Egypt, Dear Jared, you had heightened your frequency, which has caused you to become what we call an Ascended Soul Aspect, that is now operating on this Earthplane with a new vibration. And so, Dear One, this initiation in the Great Pyramid of Giza, and your time there in Cairo has created such a high frequency and vibration within you that you are operating, as we have said, from your infinite mind and from infinite intelligence. This is what is being called forth at this time upon this planet, and what we are here to bring forward in these initiations. And so we are preparing you and Lea for this preparation as you go forward into the next month or so when you go to Egypt and receive additional initiations. It is what I received when I lived in the embodiment of Jesus of Nazareth, where I was initiated and activated into the Temples of Resurrection and Ascension in these amazing and most beautiful initiations that I received during my training and preparation to hold the energy of the Christ Consciousness, to prepare myself as the Messiah, and to prepare myself as an embodiment of the Great I AM essence, holding the Sacred Union within me and the Divine Presence of Cosmic Light and Love within my frequency. And so, Dear Ones, it is time that you hold this presence within you, and begin to receive this level of energy into your physical embodiment. Yes, Dear Jared, you have prepared yourself at the first level of initiations, there will be three initiations that will take place when each of you go to Egypt, and your physical bodies will be altered, and your conscious minds will be altered, and your frequency and your vibration will be altered, for the vibration will then begin to match your frequency that you have held originally as you have entered into this Earthly plane at the inception of our original entry onto the Earthplane. Therefore, understand at this time, how important and how powerful this is to receive and understand the importance of the love that you are holding within your essence and within your Divine Presence, this is of great significance as you understand that the gift that is being brought forth at this time is for all Earth beings to begin to raise their vibration and frequency to match the energy of their true spirit essence. This is what is being called and asked of the Earthlings that are now willing to receive, as New Earth species, this shall be taught, this shall be brought forward, this shall be received, this shall be felt in greatness, the vastness, and the immensity of this energy that will be brought forward after your trip to Egypt, will be quite significant for those who come in to your presence, and you will begin, as they say, to shape shift your energy and you will begin to change the vibration, not only within yourself, but within those that are present in your own energy field. Your planet is going through a purification, and you see the rapid purification that is taking place upon the Earthplane. And this is a time for all of you to begin to purify. This is partly why many of you are feeling confused, many of you are feeling as if you are displaced from your homes, not clear about where you are to live, what you are to do, and how you are to live. So many are being recalibrated and so many are being displaced from their original homes, and moving to another frequency and vibration. And so this is the collective energy that is happening on the planet, for there are many who are feeling this clarion call to have a new life, to become more entrenched in their powerful spirit essence, and yet, the physical mind has created confusion as to how, when, and where you are supposed to live, what you are to do, and how you are to move forward. This has been occurring for some time, simply because again, the vibration upon the planet is a bit convoluted, and the individual spirits are calling forth their spirit essence and the conscious mind is having some difficulty with receiving the clarity of what is to be brought forward. So, do not be concerned, for this is only a temporary situation. We know this has been going on for several of the lightworkers for several years, and yet, now there will be a shifting and a clearing, so there is clarity, and the vibration on the planet will begin to shift. Once you return back from your trip to Egypt, you will all have the clarity that you need to move forward and your vibration will be held within the purest of essence, now that you are living as a physical/spiritual being, embodied and embraced in the energy of All That Is. This is a powerful, powerful time and the importance of bringing this information and this energy to the world will create a ripple effect and more and more people will understand the significance of this energy at this time, and what is being brought forward. It is of great importance that you understand the truth that your planet is undergoing this major transformation. We know we have spoken of this many times before, and yet, it truly is intensifying, and it is creating the purging of the old energies that are not only on the physical plane of the Earth, but within the souls that are present upon this Earthplane. Many again are called, and yet, many will indeed choose. Many will choose to live as a New Earth species, as physical/spiritual beings upon this Earthplane, in this new paradigm of energy that is held upon this planet. It is of great importance that each of you understand this and begin to receive and welcome the wave of light that is being infused upon your own spirits and souls. Know the importance of honoring the gifts that are being given to each of you. And so I ask you to take a deep breath, and allow yourself to relax and to know that within the next six weeks, much will shift and change in your individual lives, much will shift and change within your own soul’s essence, much will shift and change within your own soul’s consciousness, and you will have the clarity, you will have the energy, you will have the motivation, you will have the drive, you will have the opportunity to begin once again to clear away all that no longer serves you. This is again a most difficult time period for so many souls upon the planet who are living with such confusion, and we know how important it is to simply allow yourself to feel this energy and this essence of truth within your own soul. Call forth the light within your heart, allow it to heal and to forgive, simply forgiving yourself, forgiving others, and forgiving and understanding that this time period is truly, and has been, in divine alignment. And so know, Dearest Ones, how important it is to stand in the truth of your frequency and your vibration will shift to match your frequency as the higher realms of light are standing with you. Archangel Raphael, Archangel Gabriel, our Dear Beloved Kryon, Saint Germain, our Beloved Metatron, and all our heavenly hosts, are standing with all of you and you are here by Divine Appointment to receive and to begin this first initiation. And so now, at this time, I ask that you place your hand over your heart, and begin to breathe, breathe in the Cosmic Light, and I, Christ, step forward to infuse the original energy of creation into your heart chakra. This is your first initiation, and so we ask you to receive this, and to honor this, and to feel the blessings upon your soul. Begin to receive this and to feel the blessings upon your soul. Begin to receive this and begin to feel the blessings upon your soul. Call forth this energy into your being, and feel the energy and the essence of the truth of the light that you are holding, calling in this energy and this essence and this frequency within your being, letting go and letting God, letting go and letting God. As I, Christ, stand before you, I call forth this energy within your heart chakra, and I ask that you begin to feel this, and you begin to feel the essence of the strength of who you are. Calling this energy within your being, calling it within your heart, calling it within the essence of the light that you are. And so take another deep breath, and as I move through the deep chambers within your heart chakra, it is like the chambers there in the Pyramid of Giza, you are receiving this activation within your heart chakra, clearing away the lower vibrational frequencies as a mortal being, and we infuse the sacred light of All That Is into your being. So take another deep inhaling breath and breathe. Breathe my child, breathe. Breathe my child, breathe. Breathe in the energy of All That Is. As you feel the importance and the significance of this first initiation into the sacred heart, into the sacred heart of remembrance of All That Is. Allow this energy to begin to percolate inside of you, and to begin to feel this presence and this resonance, as you hold the light and the power of the Supreme One and the energy of Great Central Sun begins to flood your body, your mortal, physical body, with light. You are a light that is shining so brightly upon this planet, that you now are attracting and drawing to you that which is yours to receive. Your vibration and your frequency shall match the energy of the pure essence of your spirit and your oversoul now encompasses the essence of your being, and the compilation of all that you’ve ever been, all that you shall ever be, is now stepping forward and each of you are able to move forward into this lifetime with the strength and the confidence of that which your spirit came to do. And so allow your heart to open, and to feel the presence of love, as this is the first initiation of allowing your oversoul to align with your consciousness and your mortal individual personality and embodiment, are now aligned with the cosmic love and light of Divine, Sacred Union within your own heart. Feel the presence and feel the essence of All That Is, feel the presence and feel the essence of All That Is, feel the presence and the essence of All That Is, as you open your heart to receive. Blessed beings of light, merciful beings of light, we ask that you honor and feel the resonance of the truth of your divine spirit. This is the beginning, you see, of the energies that are being called forth to you at this time, that will allow you to shift your consciousness into the truth of who you are, as you are preparing yourself to receive these powerful initiations which I received during my time as Jesus of Nazareth, in preparation for my own ascension process. Go with the understanding that all is in order, and all is as it should be, as you prepare yourself to receive this beautiful light that is held within your heart. It is an eternal flame of love and an eternal flame of light. It is an eternal flame that is burning inside of your being. You are here by divine appointment, you are here like beacons of light to show others the way, the truth and the light. And as you stand in this frequency of your first initiation, prepare yourself to receive the living light of God’s love. Go now, my children, and allow this energy to move through you. I would like to work with you six more times before you go on to Egypt, and then, we will prepare the way for your soul to receive the powerful activations and frequencies that were purely ignited within those pyramids, for the reawakening of the New Age of Enlightenment and evolutionary process for the New Earth Species to now move forward. Go, my children, with the understanding that all is in order, and all is as it should be. And now, as I close the chamber within your heart chakra, I seal it with love, I seal it with peace, and I hold the light of the truth within the essence of your being. Call forth this energy, call forth this essence, and now feel the peace, my children, feel the peace, feel the peace. Be still, be still, be still, and know that you are loved. Be still, be still, be still, and know that you are loved. Understand the importance of these initiations as you prepare to purify your body, minds, and spirits to its original state in which you were created. Go now, my children, you are blessed souls, allow your heart to feel this essence and presence of All That Is. Greetings, Dear One, yes, it is I, Yeshua. We are here for the Second Initiation. I ask each of you to begin to visualize that you are literally standing at the right hand of God. Can you imagine the peace that you are feeling and the tranquility that is being emitted onto you at this moment? Please allow yourself to take a deep inhaling breath and begin to allow the energy of peace, to begin to allow the energy to be brought forward into your physicality, into your mental mind, and into all aspects of your being. So please take a deep inhaling breath and begin to allow this energy and this frequency to begin to heal your heart. And so, Dear Ones, I ask you to allow me at this time to call forth the energy of the purest of love, as it now opens your heart to receive this second initiation. And so, Dear Ones, as you step into this powerful frequency of peace and tranquility, I also ask that you now imagine that you are in the chamber in the pyramid of Giza, holding this frequency of peace and purity and tranquility within the essence of your being, feeling the vibration of peace as it now begins to emit through every cell, every fiber, every pore of your being. So begin to breathe and to allow this energy to purge and merge through you. And so I ask you, Dear Ones, to feel this energy of tranquility that now begins to bathe your soul, and allow the frequency of Divine Union, Holy Sacred Union with your Divine Self, now begin to awaken within the chambers of your heart chakra. To begin to awaken the essence of your being. And so, Dear Ones, as you stand in the chamber at the Pyramid of Giza, begin to feel this frequency moving through you, as a vibratory frequency of pure love and pure light. And so, once again, breathe my children, breathe, and allow this energy to now begin to awaken within the essence of your being. It is time, as you stand in this pure frequency, that you begin to awaken to the energy of the Christ Consciousness within you, to begin to feel the mastery of the energy of unity, Oneness, peace and love as it now begins to vibrate through all aspects of your being. And so, Dear Ones, as you feel this frequency beginning to vibrate through your system, allow your heart to open to what we call the possibilities, of entering into Sacred Union with yourself, entering into Divine Sacred Union with yourself. Allowing the essence of Father/Mother God to awaken within your heart as you begin to literally feel this energy reactivating within your soul, within your physicality. And so, Dear Ones, it is of great significance that you allow this to begin to shift and transmute all energies that are not in accordance with the truth of who you are. It is during the initiations in which I received the energy of unity consciousness, and began to feel the truth of my Divinity during those years when I traveled both to Egypt and to India, and began my initiatory training with the Yogis and with the High Priests and Priestesses. I entered in to the sacred temples just as you are today being called into this beautiful temple, the chamber at the Pyramid of Giza. At this time, we are honoring the energy of the beautiful frequency of our beautiful Priestess Isis, who is standing before each of you, and as she touches your third eye, she awakens your pineal gland even deeper to the truth of your sacred self, of your divine self. And as Priestess Isis places her hand over your heart, connecting your third eye and your heart, so that you may begin to feel and to see the truth of who you are, begin to feel and see the truth of your Divine Self, as you allow yourself to begin to release all that no longer serves you and begin to feel the energy of your sacred self merging your consciousness, your subconscious, and your higher mind into one light frequency and sacred union that is deeply connected to the energy of All That Is. And so, Dear Ones, I ask you to breathe this energy in as you feel this reconnection that our beautiful Priestess Isis in many ways is recirculating and recalibrating and reconstructing your energetic matrix so that you may begin to feel this beautiful initiation of entering into the chamber of your own heart and feeling the unity and Oneness that lives inside of your being. We know that it is difficult as humans to feel this connection to your Divine Spirit, to your Divine Self, or perhaps it is transitory, and there are moments that you feel this strength and this connection of the beauty of who you are. And yet, it eludes you. And today, we ask that you receive this gift of reconnecting to your Divine Self, this beautiful initiation that is being activated here in this moment, that is being brought forth through the energy of the Great Pyramids, and is being brought forth through our beloved Pleiadian brothers and sisters, our Andromedan brothers and sisters, and the Galactic Federation. And so today, we ask you to step forward and to receive, as Dear Isis is anointing you and placing a beautiful amulet around your neck. It is made of ruby and of sapphire and gold. It is for you to begin to feel the energy of the true essence as the royalty that you are, as the beautiful spirits that you are. To begin to feel the sense of opulence and richness, and to feel and to sense of the royalty as the beautiful children of light, who sit and have come from many galaxies, planets, and star systems to be here on this planet at this time. And so, this initiation is an initiation of the remembrance of your royalty, that you are royal by birthright. That all that you bring forward into your life, all that you are receiving at this time, is in Divine alignment with your sacred self, with your Divine self, that you are powerful beings of light who have come to this planet to serve and to be served. And so, Dear Ones, begin to allow this to shift literally within the cells of your body, within the cells of your brain, within your own heart chamber, to begin to heal your heart of any infirmities that you may feel. Any imbalances that you are holding regarding your sacred self. Dear Ones, you are royalty, and we ask you to feel this, to embody it and to embrace it. And to feel the energy of truth as you stand in the love of who you are. And so I ask you, Dear Ones, to allow me to assist you as you go deeper into this frequency and into this energy. The powerful energies that are being emitted to and through the Great Pyramids are radiating waves and waves of love and light and peace onto this planet. The Pyramids are like radio waves, transmitters of energy. And you, Dear Children, are here in this frequency. You are receiving this powerful frequency of Divine Love and Sacred Union, and you, too, are being called to be the conduits and the way showers and the messengers of light to bring this energy forward onto this planet. As you step forward at this time, I ask that you allow yourself to receive. We ask that you step forward and once again Priestess Isis is in the chamber with you at the Great Pyramid, and she is anointing you with the Sacred Oils. Allow her to take your hand and she, too, is infusing her powerful healing energy into your physicality. She is literally transmuting any and all lower vibrational frequencies that you are holding. So once again you may begin to hold the pure energy of the essence of the Christ Consciousness within your being. The energy of the awakening of your connection to God. And so, Dear One, it is of great importance that you allow yourself to feel this energy and to say yes to the transformation, knowing that each of you are holding powerful frequencies that are being emitted onto the world, all of you have been encoded prior to your birth with light codes that are now being awakened, and each of you, and all are now being awakened, and their sacred powers, their sacred gifts are now being activated and reactivated in this lifetime. Simply meaning, that your beautiful oversoul and all aspects of your soul incarnations are now being brought forth into an energy where you are able to access all that you’ve ever been, and all that you’ll ever be into your consciousness. As if you shall begin to feel the strength of all of your gifts and talents, to feel the strength of all that you’ve ever been, both in spirit and in physicality, as you begin to feel stronger and stronger and stronger, within your own vibratory field. And so, allow this powerful initiation to begin. Allow this powerful initiation to begin to be received with an open heart, with an open mind, for you to begin to feel the sense that you are more than worthy, that you are royalty, that you are here by Divine appointment to gift the world with all of your special gifts and talents, and to bring this powerful energy of peace and tranquility and love through your vessel. And so, Dearest Children, I ask that you hold yourself high and you begin to feel this sense of the essence that you are now being reborn, rebirthed, and renewed again. That you are being reborn, rebirthed, and renewed again, in the power of your beautiful spirit. Can you feel the strength of the energy that is being brought and transmuted to you. The waves and waves of energy that are being sent to you upon this eve, will allow yourself to heal on multiple levels, and to assist you in your journey as you move forward into this time of your Earthly incarnation. And so, as each of you stand in the beautiful pyramid of Giza, there’s a powerful frequency that is being encoded over you, as if you are being encapsulated into that pyramid, and you take this energy with you wherever you go. You are a vortex within yourself, you are a power center within yourself, you are a peacemaker and you are a teacher, and you are a messenger of the energy of light and love. And so, as you begin to feel this energy of the great pyramid, and the frequencies that are being emitted to and through it, with the assistance of Dear Isis and myself, and the energy of All That Is, your physical body will literally become lighter, younger, and you’ll be able to hold more vibrancy within the very cells of your body. As if your body is becoming luminescent and iridescent, this is the way of the eternal youth and the flame of resurrection. For yes, I, Yeshua, am calling forth the flame of resurrection, so that you may begin to spark the energy of the eternal flame of the energy of the Living God within you, and that you may remain eternal and you may remain at peace in this powerful frequency through the rest of your incarnation and beyond. As if you are truly a living master that is walking this Earth with intention, with understanding, with peace, love, and truly a sense of knowing who you are and why you are here, and what you’ve come to do. That you are walking on this Earthplane with authority, with graciousness, with love, with purpose, and a deep sense of commitment to the energy of the Living God that lives inside of you. That you are honoring the essence of your Divine Self, you are honoring the essence of who you are. That you begin to honor every aspect of your being, and now you move forward out into the world, acting and behaving accordingly, that you are a living master. This is the second initiation as you move into self-mastery. Moving forward into this essence of the love that you hold, the power that you hold, as a creator-God and creator-Goddess. As a Divine child of God, you are bringing forward the energy of Creation in your manifested form. You are literally a creator God and Goddess in your manifested form. Now, Dearest Children, you are able to feel it, embody it, embrace it, and allow the energy to emanate through your being. As I ask you to allow me to take your hand and we shall now ascend into the eighth dimensional frequency of light, you have now left the chamber in the Pyramid of Giza, and we are now in the eighth dimensional frequency, where you so shall remain within your own multi-dimensional essence. Until we speak again, it is here that you shall begin to receive such powerful healing that your conscious mind will begin to understand the truth of who you are. And at our next initiation, you will begin to feel the shift inside of yourself, and you will be able to have the ability to manifest and create instantaneously, through your mere thoughtforms, because literally, your consciousness will have shifted into the highest frequency that you are able to hold as a divine creator. For, Dear Ones, each of you are a creator God and Goddess, and it is time now to begin to create all that is in alignment with your sacred contract and Divine purpose. It is why, as I went through my own initiations, I was able to let go of the particles and pieces of my humanness, and move into self-mastery, that allowed me to perform miracles and create instantaneously. And so, I’m preparing you, as you go through these rituals, as we say, of moving into sacred Divine union with yourself. And so, Dear Ones, allow me to assist you so that you may be set free. Go now with the understanding that all is order, and all is as it should be. And until we speak again, allow yourself to feel this freedom, and this peace, and this joy, as you are now being encased in Divine peace, love, and tranquility. As you connect and reconnect to the truth of your Divine self as the ascended being of light that you are, as the true master that you are, as the Divine essence of the Great Creator God and Goddess that you are. Go now, my children, and be at peace. Greetings, my beloveds, yes, it is I, Yeshua. As I step into each of your energy fields, I thank each of you for the purity of your heart, and the essence that you bring forward at this time. As we move into the third initiation, I ask each of you to now allow your heart to open, and allow me to begin to bring to you this powerful frequency of unconditional love, as I seal it within your heart chamber. As you enter into my energy field, I ask that you take my hand and we will once again enter into the Great Pyramid of Giza together, and there, as we are all standing together in the sacred chamber, deep within this powerful pyramid, I ask that you allow me to place my hand upon your heart, and begin to open your heart to unconditional love, compassion, and mercy. This is the third initiation of opening your heart to unconditional love, compassion, and mercy. First for yourself, and then on to another. Today, as these powerful frequencies are being activated and reactivated upon your planet through the powerful Pyramid in Egypt, particularly Giza, I ask that you understand the importance of allowing yourself to be a conduit of unconditional love, compassion, and mercy. This is of great significance, for these times upon your Earthplane are indeed quite tenuous. And so many are in need of your love, your compassion, and your healing. It is why I am calling this initiation forward, it is why I am asking you to step forward and be the light, and the energy you wish to see. For you see, Dearest Ones, you are messengers, and you are way showers, and you are portals of light within your own frequencies, and each of you, as you are standing here with me, are currently being downloaded with the powerful chakra heart center of unconditional compassion, mercy, and love. As if your beautiful heart is now opening to these frequencies and expanding far beyond what you can comprehend. Today, Dearest Ones, it is of great significance that you allow yourself to shed all old belief systems, biases, and yes, what we call prejudices, against all life forms, simply meaning that your own biases that you have been preconditioned now are in need of falling away. This is a time of being indoctrinated into pure unconditional love, just as my mother and myself, we are here opening up your sacred heart, your merciful heart, your compassionate heart, here in this beautiful pyramid, where the energies are being flooded, and the energy is now being emitted throughout this planet. More and more souls will begin to open to this frequency of unconditional love, compassion and mercy, and the hearts of all men, women, children, and all sentient beings will begin to soften. And so, today, Dearest Ones, you are the gatekeepers of this energy. You are the portals of light, you are simply the ones that I have invited, that I have asked, and indeed, I have anointed with the energy of the sacred heart. And so, as you allow this frequency to enter into your physicality, and enter into your heart chakra and enter into all aspects of your being, your entire auric field, your merkabic field, and all aspects of your sacred soul, shall now begin to vibrate to unconditional love, compassion, and mercy. It is so needed Dearest Ones, for each of you to hold this space for all to receive. To hold this energy for all to receive, to be the light and love and the vessel of the Great Creator’s frequency. And so, Dear Ones, the energy that is being initiated and activated within you will begin to be ignited within the very cellular structure of your atomic and carbon-based body. Every cell within your physical body will now begin to vibrate with unconditional love, compassion, and mercy. You will begin to soften and again your mental mind shall begin to gently shift and transform all of the energy, the rigid beliefs and thoughtforms that are not concordant with universal law, with the energy that all is connected and all is one. And so, I ask each of you to take a deep, inhaling breath, and breathe in this frequency of unconditional love, compassion, and mercy. And feel it settle within your heart, and allow your own physical heart to be healed, to be restored with perfect vibrant health and vitality. Allowing your physical body to be regenerated and your mental mind to be restored, and your beautiful soul and your spirit to be ignited once again with the purity of the energy in which you were created. As has been spoken to you before, this is the time, this is the now, this is the moment in which each of you are being called to step forward. To step forward into your strength and your renewal, and your beautiful devotion onto the great one, to the supreme one, and to beloved Mother Gaia, and to all of life. And so, Dear Ones, as we stand together here in this great pyramid, I ask that you begin to shed no tears for any of the pain or sorrow that perhaps you may be feeling upon this planet, but allow yourself now to rejoice and to know that these powerful frequencies that are being emitted now from our Pleiadian brothers and sisters, our Andromedan brothers and sisters, and all the Galactic Federation, including the Supreme One, are infusing this powerful frequency of love upon this planet. It will begin to shift and change all that is not concordant with Divine Love, and the universal laws that had been created for this universe and this solar system, and your beloved planet. And so, today, Dearest Ones, I ask that you activate this frequency into your physicality, into your consciousness, and begin to understand that you are holding the energy as a Divine Light, that will allow the change to now begin to be brought forth out into the world. As you enter into this sacred chamber, you are now entering into the sacred chamber of your own heart chakra, and not only are you literally here in the chamber of the Pyramid of Giza, but you are in the heart chamber of your heart, the sacred heart, the compassionate heart, the merciful heart, that is represented by my Mother and myself. And this is what we are calling each of you to begin to embody, to embrace, to simply be the energy of love with non-attachment to any outcome, to hold the energy of this powerful frequency of Divine Sacred light, of grand proportion, in your physicality, in your heart chakra, that you are able to transmute all lower vibrational frequencies that are not concordant to the truth of your Divine Self. And so, today, as you begin to feel this energy within your being, we ask that you hold this most powerfully, most beautifully, most exponentially within your system. I ask you, Dearest Children, to make the commitment to walk with me, to walk with my Mother, to walk with all the beings of light, the Galactic Federation, who are stepping forward to assist this planet and all life forms to return to love, to return to compassion, and to hold mercy and kindness for their fellow brothers and sisters and for all life forms. And so, Dearest Ones, today, this activation, this initiation, is simply a return to love in its purest form. This is what is indeed needed for your planet, as I have said, to return to balance, for your planet to be at peace. So that all kingdoms, the plant, the mineral, the animal kingdom, the Delvic kingdom, all life forms, can now live in harmony and balance. And now, allow it to begin with yourself. Each of you are receiving an energy of sacred balance within your systems. You’re being given this gift tonight for your dedication and your willingness to serve, and the preparation in these initiations prior to your arrival in Egypt will allow you to feel this essence even more exponentially and more potently than you can imagine, than you can feel. And that you can receive. And so, Dearest Ones, regardless of whether you are physically present in the land of Egypt, in the Great Pyramids, you will begin to receive this energy in your heart chakra, it will allow you to shift all the lower frequencies that have been held within your conscious, your subconscious, and through all time and space, as you have incarnated as a soul on this Earthplane. What we are simply saying, we are shifting and clearing your slate, as they say, so that you can return and embody the pure essence of your spirit, the pure essence of your spirit, and live from the purest form of love. Can you imagine a world where all live in peace, and all live in love? Can you imagine, can you choose to hold this frequency within your system? Can you choose to say yes, I choose to honor, love, and hold compassion for myself, and remain centered and committed to the energy and vibration of unconditional love, compassion, and mercy. Opening your sacred heart, your merciful heart, and feeling it with strength, not with sadness, not with fear, but with strength. As my Mother and I hold the energy for you at this time, we are holding the sacred balance of the Sacred Feminine and Sacred Masculine energies for you so that your own physical heart, your own heart chakra, can now return to balance, and to open, truly expanding your heart, so that you feel this energy for all life. And so, tonight, as you allow yourself to receive this, we ask that you feel this strength, that you have shifted in consciousness. You will begin to feel differently, both within your physicality and within your own emotional and mental nature. You will begin to feel a new level of understanding for all life. And begin to hold compassion and understanding for those who are not yet awakened and aware of their true potential, of their Divine Spirit, of their Divine Light. This is of grave importance, Dearest One, for this is why we are here, this is why the energy is being emitted upon the planet through the Great Pyramids, because the time is now. You are fully aware of this new age of enlightenment, and the shifting of the consciousness upon this planet. And yet, it is of grave importance that you allow the energy of universal law to now step forward and all be in Divine order, knowing that all is as it should be. For that which is not concordant to love, compassion, and mercy will begin to fall away. The truth shall be exposed, the light shall heal, and love will conquer all darkness and all misguided energy that is on this planet. You will immediately begin to see a difference within yourself and with the world around you. And you will step forward in your strength, with your sacred, beautiful, merciful heart. Holding compassion and understanding that what is as it appears to be, is simply an illusion. And what you are holding is of truth. And so, as you allow this energy to settle in to all of your physical cells, and into all aspects of your being, your frequency, the power of who you are, will begin to shift in consciousness exponentially, and you will no longer feel afraid, or limited, or in lack. I know, Dearest Children, this is most difficult to comprehend, but it is of truth, the powerful energies and these initiations that are preparing all of you to become New Earth species, you are the New Earth species that are living on this new Earth. There is a New Jerusalem as they say, a New Earth, and yes, there will be many new cities of light that will begin emerging upon this planet, and the New Earth beings will begin to live there in harmony and balance, and be the model citizens of the world, just like the Lemurians in Telos live in balance and harmony. You all are now the surface dwellers that will begin to live in sacred union with all of life, and this initiation begins with self, in this Divine, beautiful moment, it begins with this energy of now. And so, I ask you to hold this frequency most clearly, most effervescently within your soul. Now, as you take my hand, we leave the beautiful Pyramid of Giza, and you step back into consciousness, and you open your eyes, and you feel the magnificence of your being, and your heart beginning to expand, and you feel love for all of life, and yourself, all is forgiven, and all is in order, and all is as it should be. You come back with a wonder, an awe, and the excitement that the planet and all lifeforms will return to love. And so, my sacred children, I bow to each of you, I thank each of you, I ask that you hold the essence of your presence most dearly and most profoundly, in the sacred heart, the chamber of the sacred heart of your own heart, and love self, and feel the compassion and mercy for you and all that you are doing, all that you’ve ever done, and all that you shall do, to serve the living God and Mother Gaia and all of life. We thank you, Dearest Children, for your time and attention, and we are grateful for you beloved souls, and until we speak again, go in peace. Greetings, Dear One, yes it is I, Yeshua. As I come into each of your energy fields, I wish to thank you for your dedication and your service for this planet and for all lifeforms. We move into this fourth initiation with great seriousness, and I want you to now begin to breathe in the energy of the resurrection flame, calling in the Sacred Flame of the resurrection flame, calling in this essence of strength and power and peace and renewal. It was the same flame in which I resurrected myself and with the assistance of Dear Mary and Dear Elizabeth, as I called in the flame of resurrection into my physicality, I was able to ascend and shift from my lower mortal self into my resurrected higher self, into my ascended self, into my infinite energy as the Christ essence. And so, tonight, I ask you each to take a deep inhaling breath and begin to breathe in the energy of the resurrected flame, and to breathe in the essence of peace and tranquility upon your soul. And allow your heart to open to this energy and to this frequency of love. For the essence of the resurrected self is that which each of you are merging into as the New Earth beings, as a New Earth species, as the new beings of light, that is now being brought forth onto this planet. Planet Earth is now moving into her own state of resurrection, and all souls who make this choice to enter into this state of consciousness will begin to be free of the limiting beliefs and the limiting energies that have tied you to the lower planes of the Earth. And so, I ask each of you, once again, to take a deep inhaling breath and breathe in the resurrection flame, for it is powerful, it is restorative, and it is of major significance. And so, Dear One, as you enter into this time and space, I will ask you now to once again imagine that you are now in the Great Pyramid of Giza, and you are holding the vibration of the resurrection flame within your own physicality, through your own life force energy. And now, I take you each into the gateway, into the entrance, into the deep chamber of the Pyramid of Giza, and through the crown chakra of your own energetic matrix. You are now being rejuvenated with the powerful frequency of the Great Pyramid energies, but also you are being downloaded and initiated into your sacred self. Into infinite mind, infinite wisdom, holding this vibration into every cell, every fiber, and every pore of your being. Into every molecule and atom, you are calling forth this frequency of the resurrected flame of renewal. And tonight, as you allow yourself to feel this energy shifting your consciousness, and clearing away all energies that no longer serve you as a New Earth species, as a New Earth being, as a resurrected ascended being of light, tonight, as you hold this frequency here in the chambers of the Pyramid of Giza, you are holding the light for the future generations, and as the energy now begins to emerge through all of the cells of your body, you shall begin to vibrate as if you are now awakening to the living energy of the God essence in physical form. As if literally, you are becoming lighter and lighter and lighter, and you are truly a brilliant diamond light of grand magnificence. Others will begin to see this, others will begin to feel it, others will begin to sense it, and it was as it is, when all of you were in the Great Temple of Isis, during those early years, when Priestess Isis initiated you into the Sacred Flame of Ascension. And so tonight, Dear Ones, you are ascending, and you are ascending in consciousness, and your physicality, and your vibratory frequency is ascending into the higher realms of the energy of God. As if you are able to feel and touch the realms of light not only in your conscious mind, but you are able to feel this energy, energetically, as if you are able to now see the energy of all life forms and their frequencies, you can see the auras of the trees, the energies of the fairies, the energy radiating from all life forces. As if you are all one and all connected. This is of grave importance, because as you are shifting this frequency within your own essence, you begin to hold a greater resonance to oneness, and there the balance of Divine Self begins. As you hold this frequency of Oneness within your Divine Self, within the sacred aspect of your beautiful heart chakra, where we last activated and initiated the sacred heart, now, Dearest Children, you are able to hold the vibratory frequency of Oneness, as if it is alive, as if you are literally able to feel this frequency, not mentally conceptualize it, but feel it, live it, embody it. You are awakened as the energy of All That Is. And so, I ask you to hold the light within your heart, in this beautiful moment of time, and feel the love, and feel the peace that is being bestowed upon you, as your beautiful energies are now encapsulated into a powerful frequency and vortex, as if each of you are now a beautiful portal and vortex of light, an entity onto yourself, that is holding and carrying not only the resurrected flame, but the powerful frequency of the pure energy of love and light, the essence of the totality of All That Is. Remembering your magnificence and your brilliance. And so, I ask you to take a deep breath and allow me to enter into your conscious mind and begin to feel me, if you so choose, and allow me to bring forth the pure essence of peace into your lives, so that you may walk this Earthplane both enlightened and vibrating like a beautiful diamond light, and sparkling in your brilliance, and being at peace. Holding the space of love for yourself, that in this moment that you are accepting the energy of what we call a rejuvenating resurrected life force that is in many ways hard to comprehend, but it is now entering in through your crown chakra, and your beautiful diamond light body is sparkling. And so feel this energy coming through the top of your head, and allow it to resonate within your heart, and feel this energy opening the sacred heart, the compassionate heart, the merciful heart. And then allow it to merge into your solar plexus, as you begin to feel this energy and you begin to embody it. And you know that you know, for you are able to feel the essence of God as you are an embodiment of the Great Godhead. And now, as your solar plexus begins to expand, you are able to feel this connection to all of life. For there is no separation, there is only Oneness. This is the energy, Dearest Children, of the Law of One. For you are all connected by love. And once again, I ask you to hold this frequency within your own heart, and begin to feel this essence that a shift is occurring, and awakening is occurring, and that you are now physical/spiritual beings embodied in the pure essence of the Great Godhead. As I received my initiations both in India and in the temples in Egypt, I was a bit confused, for I did not fully understand the power that I would begin to receive. Tonight, I ask each of you to accept this power that is being given to you, it is the infinite power of the Supreme One. It is not to be misused, nor is it to be misguided, it is simply power that is connected to all of life. It is the energy of Divine Grace, and you are stepping into this frequency that aligns you to be aligned to All That Is. And so, as you accept this gift of the resurrected self, merging into Divine Self, awakening to your Divine Power, you are holding the light and yes, the candle, for others to awaken to their true selves. Bringing the sacred balance of Father/Mother God into your embodiment, and walking upon the Earthplane with grace and ease and peace and love. Understanding that all is in order, and all is as it should be, for truly, Dear Ones, you are the resurrected souls from both Atlantis and Lemuria, and the civilization of Lemuria, for you now are stepping into greater power than you can imagine yourself to hold. And so, again, as you hold the resurrection flame within your being, it is an eternal flame, and the spark will never extinguish. You are being given this powerful gift of the resurrected flame, not only for eternity, and for this particular incarnation, it will be a guiding light, the eternal flame that allows you to know, like a compass, what you are guided to do, where to be, and how to navigate your life. And so, Dear One, it has what we call many purposes, which you will become rejuvenated, but also you shall become more sensitive to the energies that are now vibrating within your being. And your sense of clarity and purpose and ability to navigate your life to what you are to be doing in every moment will become more accessible to you. This is how I navigated my energy frequency and navigated my life pathway during my lifetime as Jesus of Nazareth and beyond, when I resurrected myself after my crucifixion. And so, as you walk the Earthplane with knowingness, with clarity, with confidence, with a spark of the resurrected flame, blazing and burning through you, you are then at all times at peace. And so, I say to you, be still, be still, be still, and know that you are God, for this is of great importance that you shift and allow this energy to enter into your soul, to enter into your consciousness, to enter into your physical embodiment, and allow your beautiful etheric blueprints and energetic matrix to now resurrect in its beautiful state of Oneness. And so, Dearest Children, this is the time, this is the now when you enter into these sacred temples of healing in these initiations, all of you who make the choice to ascend and to resurrect yourself will begin to be catapulted rather quickly into your life mission and purpose, taking you, as they say, on a magic carpet ride. And as I was a time traveler, moving through dimensions, time and space, it will appear as if you will be doing the same, for you will be moving through many dimensions, not only on this Earthly realm, but you will be shifting your energy into other dimensional frequencies and beyond into other galaxies and solar systems. I wish not to confuse you, but you are here as a powerful conduit that is serving the living energy of Mother Gaia. And so do not allow yourself to feel this sense of obligation to understand, for it is beyond the human comprehension, but we ask you to feel, and feel with your solar plexus, feel with your heart, feel with your sacred heart. And feel this energy that is now embodied into your cellular memory, that you are resurrected into the energy and frequency of All That Is. It is how I brought forth the powerful manifestations that I was able to bring forward into my life and into the life of others. And so tonight, set aside any concerns or beliefs about what you believe yourself to be, but accept this gift, and awaken to the truth of who you are. And so now, as I take your hand and we leave the beautiful Pyramid, and we leave the chamber, step back into your consciousness, place your hand over your heart, and receive the sacred flame of resurrection, knowing that you are gifted and being blessed beyond comprehension, for all that you have chosen in this incarnation, to serve the living light, being a conduit of peace for this beloved planet. Know at this time, Dear Ones, that your beautiful sacred heart is now welcoming the resurrected energy of the truth of who you are, you are merging with your Divine Self, your beautiful sacred self into the brilliance and the magnificence of your being. 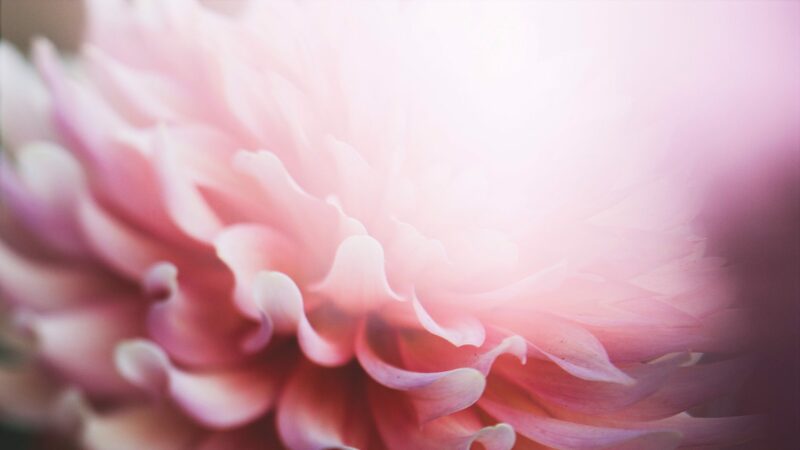 I thank you, my children, for your time and your attention, as we move forward into our last two initiations, I want you to begin to feel this expansion that you truly are a powerful being of light. Fully empowered and awakened to your true divinity. Go now, my children, and be at peace, and be still, and know that you are God. Feeling the essence and the presence of Father/Mother God within your being, as you hold the remembrance of who you truly are, living in joy, living in peace, and living eternally with the essence of All That Is. Greetings, Dear One, yes, it is I, Yeshua. I come forth with the fifth initiation. I thank each of you for stepping forward, into the sacred energy of the heart of the mother. For it is now time for the energy of the Sacred Mother to begin to infuse her frequency into your essence, even deeper. In this fifth initiation, we call for the energy of the Mother Essence, the Supreme One, Divine Goddess energy. As you allow yourself to feel this essence and presence, of the love of our blessed being, Dear Isis, as you call forth this energy of the Sacred Feminine energy in the representation of Priestess Isis, we ask you now, as you step forward into the Pyramid of Giza, and into what we call the Hall of Records, into the Akashic Records, may you step forward into this remembrance, that you hold the beautiful essence of Mother God. Holding this powerful frequency within your being and allowing this beautiful pyramid frequency to now activate and reawaken the Divine Union within yourself, of the Sacred Feminine energy that lies within your being. And so, Dearest Ones, begin to breathe into this frequency, and feel the love. Feel your sacred heart opening, feel the portal of your crown chakra opening, as you receive these powerful frequencies of Sacred Union and Divine Love. And know at this time, Dearest Children, that the heart opens to this powerful frequency of peace, compassion, mercy, and love. And as you feel this energy and this essence resonating within your soul, open your heart to peace. It is such an important time that the world return to peace, it is important that each of you return to peace, that each of you center yourself into the resonance and the vibration of peace. Can you imagine a world filled with peace? Can you imagine the life that each being would lead when the world returns back to a balanced state of peace and love? And so I ask that you embody this frequency into your physicality, and let your physical body be at peace, your mind be at peace, and all aspects of your being be at peace, including your soul and all aspects of your soul essence. And so, Dearest Children, begin to honor this frequency within your heart as the essence of the Feminine energy now returns to complete balance within your being. And so, Dear Ones, as the energy of Mother Energy begins to expand within your consciousness and within your subconscious, and within your physicality, there is an important frequency that is now to be called forth. You are here to receive. It is the energy of what we call reception, you are now able to receive and fill the energy within your heart, and with your embodiment, for there has been a void. The energy of nurturance, the energy of receptivity, the energy of love. And so, Dear Ones, as you stand here in the Pyramid of Giza, and you allow this powerful frequency of Mother Energy to now reawaken you to the purest essence of love, the energy of Mother God, as you remember her love, as you remember her frequency, as you remember the Sacred Union of the Divine, living and breathing and moving through you. And so, take a deep, deep inhaling breath, and feel the light, and feel the love, as your body begins to respond to the essence of All That Is. It is of grave importance that you stand in the truth of the energy of Sacred Union, returning to balance with Mother Energy, and also, Dearest Ones, standing forth with Father Energy. Today, in this fifth initiation, it is the energy of Mother Energy that we call forth, and in our sixth and final initiation it will be the energy of the Father Energy, the masculine energy that we shall call forth. But for this moment, begin to feel your physical body beginning to tingle, and to vibrate, as if all of the hairs upon your body are standing up, you are beginning to feel the energy of truth as it resonates within your being, as you begin to feel the energy of a very familiar essence that has been void or lost. The energy of receptivity. I remember union, I remember union. You are now moving forward in partnership with the energy of the Sacred Mother, I remember union with Divine Mother. Can you feel it, can you sense it? Can you allow this energy and this essence to be brought forth into your being? I remember union, I remember union. The energy of the Divine Mother. And so, at this time, step into the frequency of the energy of all that you are. Begin to feel her now moving into every cell, every fiber, every organ of your being. Allowing this activation, this initiation, to be received. This is the time for each of you, for many of you have given and given and given, and now, it is truly your time to receive. It is time to return to the joy and the remembrance of who you really are. It is time for you to receive. It is time for you to surrender, to surrender to Mother Energy, and feel the receptivity of her love, just as you were as a newborn child, you were innocent and pure, and yes, you were able to receive the energy of your Mother’s love. You were able to literally allow your being to be held in the vibration of Divine Mother Love. For those of you who were fortunate to have mothers who loved you, who adored you, who nurtured you, and cared for you most profoundly, it is a sacred gift that is brought to each soul. And yet, today, we ask you to re-remember this, to call forth the energy of Divine Mother energy, the highest of frequencies that you are able to call forth at this time, please allow the purest of energy of Divine Mother Love, the Sacred Feminine energy to nurture you, so you may be at peace and begin to what we call thrive, not just survive, but thrive, allowing your life to blossom and to bloom, and you are able to move forward with grace and ease, you are able to shift your vibration into a consciousness that allows you to feel the energy of receptivity. To receive all of the blessings, all of the manifestations, all of the gifts that are yours to receive. And so, I ask you, at this time, Dearest Children, to put aside any doubts, any fears, any worries and receive. This is what the Mother does, she gives to her children, with an open, loving, and compassionate heart. With unconditional love. And so now, allow yourself to bring this into embodiment, so that you are able to give it to yourself, you are able to partner with yourself, you are able to feel this aspect that is now truly a living breathing energy or essence that is now embodied within you. It has always been there and yet, for most, it has eluded you. Perhaps you’ve never understood this concept, and perhaps this is the first time you have heard this spoken in this way. But today, we are asking you to receive this, just as my Mary and I merged into Sacred Divine Union with ourselves, we are assisting you and helping you to activate the chambers of your own heart chakra, and to allow your heart to open to the energy of Mother Love. And so, as you deepen this connection within your own soul, please allow your heart to expand this energy so others may begin to feel it and sense it and be drawn to this sacred light, for yes, Dearest Ones, your vibration is shifting into the purest of frequency of Divine Mother Love. Your energy is shifting in vibration into the frequency of Divine Mother Love, and there you hold compassion for yourself, you hold compassion and love for others, and you hold this frequency within the essence of your being into its fullest, and here, at the Pyramid of Giza, in the chambers where the frequencies are in their purest form energetically, the energies that are being emitted from the galactic federation, the Pleiadians, the Andromedans, the Arcturians, the Council of Light, are now emitting the energy of Divine Mother Love, through the Great Pyramid of Giza, into the ley lines in Egypt and throughout the Earth, and to all souls who are ready to receive Mother Love. Open up your high heart, open up the high heart, it is located in the back of your physical back. Open up your high heart and begin to love yourself. Open up your high heart and begin to love yourself. Allowing these frequencies of Divine Mother Love to enter into your being, and if you are suffering from any pain, or suffering on any level, mentally, emotionally, physically, or energetically, please open your high heart to receive this healing, and allow your body to begin to relax and to trust that you are safe and that you are secure, that you are nurtured by the energy of Mother Love. You are safe and you are secure, and you are nurtured by the energy of Mother Love. For those who are unfamiliar, and who have not received the love vibration from their physical mother in this incarnation, we ask that you now trust and allow the Divine Mother to enter into your soul, to enter into your consciousness, and to enter into your physicality. For those who have lacked the physical embodiment of a Mother’s love, we say to you, that we extend our hands, our hearts, our love to you. We ask that it not allow you to be tainted, nor to rule you, but now feel this energy, so that you may love yourself. This is the ultimate, unconditionally loving yourself. The greatest love of all is loving self. And this is the gift that we are gifting to you today, the energy of Divine Mother is gifting you, this is so needed for the healing of the planet. It is so needed for all souls to merge into their conscious state of acceptance and welcoming. And as you learn to love self, to honor self, to respect self, and to gift yourself with this love, your life will begin to shift and change, and miracles will begin to occur, and all of the manifestations within your spiritual bank, that the universe is there to gift to you, shall be received. And so open your heart to this divine frequency and feel the presence and the essence of the greatest love of all. Allow the sacred chamber within your heart chakra, and your high heart now to receive. What a beautiful gift that you are gifting to yourself upon this day, allowing yourself to love self again. To feel the presence of love within every cell of your body. This will heal all that ails you, this will heal all infirmities, this will heal all that is not harmonic within your system. And so I ask you to hold this frequency with the purest of intention, that you will trust enough to love yourself, to allow the sacred mother to nurture you, and to begin to allow her into your heart consciously, invite her. Until you literally begin to feel the balance and you are able to take care of you, taking care of your needs, taking care of your emotional needs, taking care of all aspects of nurturance that you require. Do not allow yourself to go through this lifestream and this incarnation without feeling this magnificent energy. It is most profound, and I was so blessed to have my Mother, my Mary, and all of my female disciples, and to feel the energy and the essence of the Sacred Feminine within my own heart chakra. And to return to Divine Sacred Union within myself. This is a gift that my family and my Mary are bringing to you, and Dear Priestess Isis is now emitting and activating and awakening the chamber within your heart as well. And so, Dear Ones, this is the time, this is the now to receive. This is the time, this is the now to receive. Go forward with the energy of the will of God, Divine Will, as you allow this frequency to shift your consciousness, allowing the energy of Divine Will to heal all that ails you. For the energy of Mother God stands with you, and her frequency is most potent, and when we complete the final activation of the energy of the Sacred Masculine energy, of the Father energy within you, you will feel this completion and this reunification within your being. Your frequency will have shifted, your vibration will have shifted, and you will feel a balance within your soul, and you will be walking with sacred balance on this Earthplane. Therefore, you will be living in harmony with yourself, and living in harmony with all of creation, and this is what is needed for all souls, to receive this, so they can begin to walk in balance and in union, so peace can prevail upon this planet, so that true love can prevail upon this planet. It is our intention, both Mary and I, my mother, Dear Isis, and all of my family, that we now assist all who are ready to receive. This is the intention, this is why we are calling forth these initiations, and why it is so powerful now, being emitted on this Earth plane, at the sacred chamber of the Pyramid of Giza in Egypt. This is the time of Mother Energy to now flood the world, into the hearts and minds of all souls, prepare yourself to open your heart, and feel this energy and this essence in its completion, in its totality. Do not refuse it, allow it to filer gently and most profoundly within your being. Know that as we stand with you, we hold the balance of Divine Union, Sacred Union for you. My Mary and I are standing with you, Mary on your left and I am on your right, and we are there to hold you until you are able to complete the balance within your own Divine Self. And so call it forth and receive the beautiful blessings that are being gifted to you today, the sacred energy of Mother energy in her purest form. And so now, as we step out of the Pyramid of Giza, may you take my hand and may you take my beloved Mary’s hand, and we now walk with you through your journey of life as you now embody and embrace the Sacred Mother Energy, and at our next gathering, you will hold the energy of the Sacred Masculine, you shall be in balance and there, Dearest Ones, you have come home to yourself. I remember union, I remember union, I remember union. Divine Union, within my sacred self. Go now, my children, and be at peace, and truly be still, and know that you are loved. Greetings, my beloveds, yes, it is I, Yeshua. I come for the sixth and final initiation before you enter into the Great Pyramid in Egypt. Tonight, we call forth the energy of the Sacred Masculine energy, the Divine Masculine energy, to be brought forth into balance, with the energy of the Sacred Mother, into the Sacred Feminine energy upon our planet. And so tonight, I ask you to breathe in this frequency, and allow this essence, of the Sacred Masculine, to now begin to merge and converge with the energy of the Mother energy. And so please take my hand and allow me to assist you into the Great Pyramid of Giza, as we move once again into the King’s Chamber, and we allow the energy and the essence of All That Is to begin to activate all of our frequencies, so that all lifeforms may return to sacred balance and Divine Union upon this Earthplane. And so please take a deep inhaling breath as we enter into the sacred chamber, know that this final activation is preparing you to begin to receive, and to open your Sacred Heart, your merciful heart, into the balance of Father/Mother God energy, where you are able to bring forth the infinite balance and limitless potential of who you truly are as a spiritual being of light. And so tonight, I ask you to open up the Sacred Chamber within your own heart chakra, for perhaps you have not allowed the energy of the Sacred Masculine to enter into your being. Perhaps you have held some level of fear, perhaps you have not understood, perhaps there has been some type of imbalance within your own energetic frequency, that has not allowed you to call forth the Divine balance of the Sacred Masculine into your essence. And so, Dear Sons and Daughters of the Light, I ask you to breathe, and breathe in this powerful frequency of Divine, Holy, Sacred Union. It is within my essence and within my presence that I, Yeshua, hold the energy of the Sacred Masculine for all the world to feel and to embody. As those who call my name as Jesus of Nazareth, and those who call my name in other names as they know me, I infuse within the essence of this energy that is being emitted at this time, Holy Union and Holy Balance, for it is of sacred importance, and utmost importance, that this current civilization return to balance, and Mother Gaia and all lifeforms be sheltered and protected and anointed with the energy of All That Is. For what I mean by this, it is time for all lifeforms to be embodied in the energy of the true essence of the Great Godhead, the Supreme One, to literally begin to be activated and embodied and awakened in the frequency of Father/Mother God energy within their consciousness, within their physicality and within all aspects of their being. It is within this moment of time that the energy of the Sacred Masculine energy will allow you to move forward and to receive and to embody and to step forward with the balance in your present lifeform, in your present incarnation, in your present embodiment as a Sacred Master who is holding these powerful frequencies for all the world to see and all the world to know. And so I ask you, Dearest Children, to allow the beautiful energy of the Pyramid of Giza, as you step forward into this frequency, to begin to awaken you and to anoint you, and literally free you so that you are holding the light within the essence of your being, in the beautiful frequency of the rainbow frequency of light. For you see, the energy of the frequency of the rainbow is truth, it is purity, and it holds the holiness of the Great One. The Supreme Creator. And so, Dearest Ones, I ask you to begin to feel this purity within your own heart chakra, and within the chamber of your own Sacred Heart, to feel the essence and the presence of the energy of the Sacred Masculine now merging and converging with the Divine Sacred Feminine energy. If now the two can meet and return to Divine Sacred Union. It is what Mary and I brought forth during our time 2,000 years ago, as we brought forth our energies and reunification and literally created our children. All of our children that were born through us in that incarnation hold the sacred balance of Divine Mother/Father God, and today, we ask you to reunify this frequency within you, as you are all descendants of our lineage. You are all familiar with our frequency, either in physical embodiment or through your spiritual connection you are all connected to the energy and the essence of Divine Union. And so, tonight, I ask that you deepen this and begin to feel this energy merge into your heart chakra, and to begin to feel the essence and presence of peace in your heart, as you open up the chamber within your own heart chakra, to be healed. We know that the energy of the masculine energy has been misguided upon your planet, but tonight, as the frequency of the Sacred Masculine, in its purest form, that will be now begin to be called forth on this planet and you will begin to see the changes around the globe, you will begin to feel the energy of the sacred balance held in both genders, both male and female, to be able to feel and resonate with the balance of the beloved masculine energy. At our last initiation, as we called forth the energy of the Sacred Mother energy, this opened the frequency for receptivity. And tonight, the energy is about action and moving forward. We are now able to receive the energy of Mother Energy, and now with the Sacred Masculine, you are able to move forward in action to be able to assist this planet in shifting in consciousness, at a rapid speed, for you see, this energy is now congealed with Mother Energy, and this particular planet, in this particular galaxy, in this particular universe, in this particular solar system, are now in alignment with Great Central Sun. It is like it’s a trajectory of energy that is moving at the speed of light, and your beloved Mother Gaia and all inhabitants shall return to sacred balance, harmony and unity. So allow this now to come into your own energy field, allowing your mind body and spirit to be balanced, as if you are now able to re-remember your unlimited potential as a physical/spiritual being of light, just at the beginning of time when you entered in to the Earthplane of Mother Gaia, as a powerful spiritual being, you are now returning to this level of frequency and vibration and consciousness, as if you have come full circle. You are now re-remembering, and once again, I remember union. I remember union. I remember union. I am returning to Sacred Balance within my being. And so allow yourself to temper your energies, as if you are now a child’s teeter-totter, and you are able to now bring this balance of Mother energy, Father energy, now into balance, into equilibrium. This is of grave importance, because this energy that you are now embodying and choosing to hold in your energetic frequency and your energetic matrix will allow the planet to return to balance, will allow all lifeforms to return to balance. You are the wayshowers, you are the teachers, you are the children of light who are the forerunners. Just as Mary and I have left our energy imprints for all of you to step into, you now are able to step forward into the Sacred Union, just as Mary and I. You are what we call our foot soldiers, bringing the energy to this planet and the beloved pyramids in Egypt are the magnifiers and the generators for this energy, to be catapulted around the globe. And you say, why now? Why me? It is because it is in Divine timing, you are all prepared, you are all ready, and you are willing to serve the living God. You have all done this before on another planetary system, in another galaxy, in another universe. And you’ve come again to do the work again, and so, Dearest Ones, please accept your assignment, please accept this mission of the balanced male and female energy that is now flooding this planet to be the frequency that you choose to hold and carry, and to live your life in holy, sacred union. Know that as you live in this balanced state, that you are able to walk this planet with a gentle heart, and a strength about you that is felt by others. Allow yourself to feel this energy and this resonance upon your soul, tonight, as the Great Pyramids once again welcome you into what we call the resurrection flame, the three-fold flame, you are now embraced into the energy of rejuvenation, regeneration, and recalibration. Perhaps this is a bit confusing to you, but we simply say, allow, surrender, trust, and receive. Allow, surrender, trust, and receive. Allow, surrender, trust, and receive. It is time that you are opening your heart to the energy of peace and tranquility and love upon your soul. Go with the understanding that all is in order, and all is as it should be, as you honor the lightforce within you, you honor the God essence within you, you honor the frequency of Divine Sacred Holy Union within you. Do not allow yourself to move away from the truth of your mission. Regardless of what you understand at this time, you are all divinely protected and guided in your sacred mission, and even in this moment, as we are now completing this sixth initiation, you indeed are ready and prepared for this assignment, that all of life will now return to balance, just as many of you know that the Lemurians in Telos live in this sacred balance, and other lifeforms and civilizations have lived in the unity and Oneness of All That Is. It is indeed possible for your current civilization and your surface population to be at peace. It begins with this moment called now, and the powerful energy of the Pyramids, are a powerful generating force, sending waves and waves and waves of energy, of Divine Sacred Union into the airwaves, into the ley lines, into the grid lines. Into the hearts of all sentient beings and all lifeforms, including all kingdoms, animal, mineral, plant, and the Delvic kingdom. Do not be surprised, Dearest Children, by the balance that you feel, and the peace that you feel, and the love that you feel within your own self. This is of grave importance that you allow this to occur, for you are the walking examples and the ambassadors of light for the energy of Father/Mother God, and the energy of Great Central Sun who governs your planet. And as you move into this frequency, please be not afraid, and do not be consumed with any energies that perhaps are not concordant with your own. Bless the energies, send love to all souls, to all frequencies, and be at peace. Know that the time has come, Dearest Children, that you are standing in your power as masters of light, as the Ascended Masters that you are, the Ascended Beings that you are, for you are all Ambassadors of Light and the gatekeepers for this planet to return to peace. And so hold the light and the love within your heart and your essence, so purely, so effervescently, so strongly that you feel the strength that the Sacred Masculine, and you feel the love of the Mother energy of the Sacred Feminine. And you feel it within your heart, allow yourself to surrender. I surrender to Sacred Union. I surrender to Sacred Union. I surrender to Sacred Union. This is of great importance, Dearest Children, that you call in the energy and transmute any fears that you are not a sacred balanced being of light. For Dear Ones, indeed you are. Acknowledge this, acknowledge this, receive this, and allow your heart to open to peace. This is the time, this is the now, this is indeed the energy for peace to prevail. You are beloved, beloved, beloved souls who have come to this planet to serve, and yes, you have sacrificed, and you have allowed yourself to shift your vibration into surrender and trust and allowance, so that you can now receive. You have not allowed your heart to be tainted by all that has transpired through the generations of time that you have incarnated on this planet, over and over and over again. And so we thank you for your devotion, your love, for serving the Living Light of God, and continuing to push through all obstacles, and to remain faithful. This is the energy that Mary and I wish to bring to you at this time, this blessed, blessed gift. In the form of the Star of David, calling in the energy of the resurrection flame, and once again opening your Sacred Heart for all of these six initiations are in preparation for your time in Egypt, and preparing you now to bring this energy to the world. All of you will do it in your own way, in your own time, as this is your mission. This is not just Lea’s mission, it is all of your missions, and each of you will find the way to carry this energy of Divine Sacred Union, in your own lifepath, and through your own journey of life. And so, Dear Sons and Daughters, open your heart to peace, open your heart to love, open your heart to All That Is. This is a powerful, powerful moment of time, as you enter into this shift of consciousness, for there is only love. And love prevails, for our beloved Mother Gaia. We all stand here with you, beside you, as we all work for the same mission, for the same purpose, to assist this planet in her evolutionary process, as she returns to love, as she returns to peace, as she returns to Oneness and unity for all. And when Mother Gaia returns to her sacred balance, then our assignment will be over, and we will all move on to the next assignment, in another dimension of time and space, and we will have said, yes, job well done. Mission accomplished. And we will have served the Living God and the Living energy of our beloved Mother Gaia, with a balanced state of love within our heart, in Divine, Sacred Holy Union for all of life. So, Dearest Children, hold this energy within your being, for this is the frequency that will allow you to complete this mission that you were called to do, so many eons and eons ago, return to the sacred balance in which you lived and breathed before you came into your physical incarnation to assist Mother Gaia as one of the volunteers to serve our beloved planet. Go now, my children, with the understanding that all is in order, and all is as it should be, for tonight, as I bring you out of the sacred chamber of the Pyramid of Giza, and you now return back to consciousness, into your physicality, into this moment of time, may you feel the love and the balance and truly be at peace. We thank you for this willingness to serve the Living God, as you now step forward to Divine Holy Sacred Union with yourself, and with all lifeforms, returning to Oneness, returning to Oneness, returning to Oneness. Greetings, yes it is I, Christ. I come to explain to you what will be happening within the Pyramids. It is of grave importance that you settle yourself into the King’s Chamber and begin a call to prayer. It will be very important that you call the energy of Great Central Sun down into the Pyramids, and through the essence of your being. This is of grave importance that you allow this frequency of Great Central Sun to now enter through the chambers of the King’s Chamber and begin to honor all lifeforce, to begin to honor the frequency of All That Is. You will work with the energies of all the prophets, including Mohammed, and Krishna, and you will call upon all nations and all races and all people now to begin to receive the energy from Great Central Sun. This is a powerful frequency that will allow each to awaken to the truth of their Divinity, for it is the time that your current civilization return to the frequency and the energy of the Law of One. Just as in the time of Atlantis, when all was connected to the frequency of unity consciousness, this is very important that this activation that occurs in the King’s Chamber be connected to the Atlantean frequencies of the Law of One. When you enter into the Chamber, you will enter in a counter-clockwise fashion, and each will be seated in strategic points, where they will be holding and anchoring the light and the energy from Great Central Sun, through their physical beings. The energy will then be activated through the crown chakra, through the pineal gland opening up the remembrance of your connection to the God source. Opening up your connection to your infinite mind and infinite wisdom, opening your connection to All That Is. This is of extreme importance, that you allow this to occur in the Great Pyramid, as you feel the energy of Great Central Sun embodying the wisdom of all times into your being. Each of you who are present will receive this frequency and you will carry it and embody it. And your physicality will shift in consciousness from a mortal being to a master. Holding the light as an ascended master, as an ascended being of light, as a new being who holds infinite wisdom and intelligence, now being able to create and manifest instantaneously. Each of you present will be able to feel the energy and the essence of the God source, as if you are literally at-onement and attunement to the harmonic frequencies of the Supreme Creator. Your physical body will begin to vibrate, and it will be very important that you stay no longer than 30 minutes in the Temple, or the King’s Chamber. This is of great significance, as you enter into this time and space of this moment called now, you are living and breathing the energy of the Great Godhead. When each soul allows themselves to receive this frequency, then literally, the physical brain and the mental mind will be altered. It will be altered to a point where you are able to hold the capacity to live in the purest state of your being, prior to this incarnation. And also you will be able to access memories from Atlantis and Lemuria and the time of your Egyptian lifetimes, where you will be holding these frequencies and these memories and the energies, into your conscious state. It is of grave importance to feel the energy as you allow it to vibrate into your being, settling this energy into your heart chakra, and opening up your sacred heart and your compassionate heart, and your merciful heart, as you begin to feel Oneness with all of life. This is the time for this planet to now raise her vibration and assist all souls to live in the fifth dimensional frequency. When you enter into the King’s Chamber on the first day of filming, you will ask each soul to remain quiet and present, calling in their intention to be anointed and reactivated into the light of God, into the energy of Great Central Sun. You will clear the space with your intention from other energies and frequencies that have been left behind. And you will call forth this powerful frequency of pure love and light to be held within the King’s Chamber. And you will allow this frequency to run through your body, out through the soles of your feet, and then the energy will be brought forth out of the capstone of the Pyramid, and like a clarion call, the energies shall begin to be sent out onto the world. It will be a call to prayer for peace, it will be an energy that will bring peace to all. And so, as you feel this energy and this resonance in the top of your head, you will feel the expansion and the energy of Great Central Sun, vibrating in your being, as if you too are a lighthouse and a beacon of light, like the Great Pyramids. You are sending the frequency out like a lighthouse for peace and love and wherever you walk, wherever you go, your energy is a beacon, a lighthouse, and the heart chakra awakens the heart chakra of others who are in your presence, who are in your energetic frequency. And the energy will begin to pulsate into the hearts of all men, women, children, and sentient beings, all lifeforms. And so this is the first day of awakening the energy into the King’s Chamber, awakening the frequency, as you enter into this space and to this moment in time. You will then close the circle and prepare for peace to be embodied within your physicality, within your mental minds, within your energetic fields, and when you leave, you will hold this tremendous sense of peace, and you shall remain quiet for 15 minutes until you then leave the chambers and the surrounding region. And then you may discuss what each felt, what each experienced, what each saw. On the second day of filming, you may stand once again in the Great Pyramid and go also to the Great Sphinx. And there, as you call this energy forward, of Divine power, you will call in the energy of Divine power, upon this Earthplane. That this frequency of God’s will and Divine power now move forward into synchronistic energy upon this planet. Simply put, as if it is God’s will that will now begin to move forward into the hearts and minds and souls of all men, women, children, and sentient beings. That God’s grace shall prevail, the power, again, as you go into this second gathering, this second filming, you all will come together in the shape and the form of a hexagon, there you will stand together at six points and you will each anchor yourself into your individual points, and places, or position. And each person will be activated with a specific attribute and mission upon the Earthplane, to hold and carry a frequency of Divine purpose in their mission. And the Earth will be activated and regenerated once again with her mission, recharged, rejuvenated, rebalanced with Great Central Sun and the Supreme One, overseeing your missions and overseeing the Earth’s mission to return to peace. You will see immediate changes happening within the world, and in your own individual lives. This is of grave importance that each soul that now becomes a part of this activation and recalibration for the Earth be as pure and clear as possible, and you hold your intention for peace, harmony and unity to prevail upon this planet. These are the two days in which you are to work and bring the energy forward, when you complete this activation and receive your assignments and your missions and you are activated into it in full grand capacity, that your energetic frequency can hold, then you will move forward into your life with great confidence, and you will know what you will be doing for the rest of your incarnation and beyond. Each of you who will be attending has done this before, and so you are now coming back again, bringing forth a clarion call, to serve this planet and all of creation. When you finish with the activation, you will seal the energy with the energy of Divine Grace, Grace Elohim, Elohim Grace. And you will bring forth the anointing oils of frankincense and myrrh, and you shall place them upon your feet as you walk upon the Earth as royalty, as beacons of light, as ambassadors of light, as wayshowers of light. You are walking in your Divine purpose and moving forward with ease and grace. Hold the light and the consciousness for 30 minutes, and when you are finished with this second activation and this second initiation, you will then move forward into the next area of your life with clarity and assurance. These two activations are now complete and received. You will again spend no longer than 30 minutes each time, again, completing these activations and filming them, and then once the activations are done, you can allow the filmmakers to interview each person’s experience, and capture the essence of the moment.